What skills do top performing teams need? There are few HR professionals or Recruitment Managers these days who don’t have a mandate to employ more diverse teams. Most of us know how easy it is to fall into the trap of gravitating towards ‘people like us’ and the negative impact it can have on teams responding to a global market place. A highly cohesive and like minded team can be brilliant at moving in the same direction and working in a co-ordinated manner. But behaving like a shoal of fish can also make you vulnerable. You may share powerful motivations, but be unable to make complicated manoeuvers. Trying to avoid recruiting ‘Shoulmates’ is a good start. An effective recruitment process should identify the need for difference – not just the more obvious ones of race, gender culture and age, but also, cognitive diversity. Its always heartening when you are responding to a new and complex situation to find that your team is in agreement on what to do, but far more valuable are those team members who disagree and challenge those actions. But let’s say you’ve done a fantastic job – you’ve recruited a team that’s more than a group of schooling herrings, and you’ve got a shark, an octopus, a starfish and a seagull in the mix too. 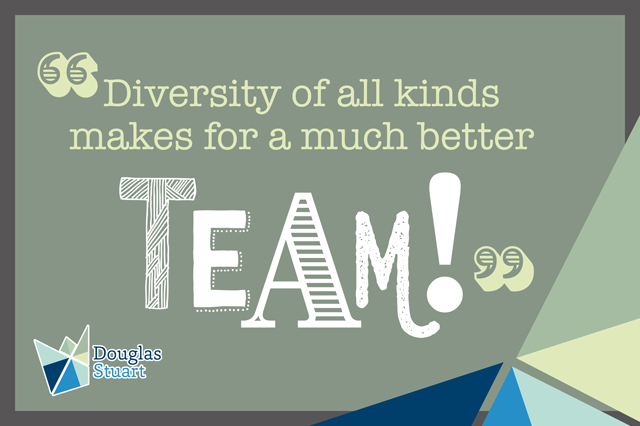 How do you unleash the power of such a diverse team? Because, despite all your hard work, forming teams is the easy part. It’s helping them to succeed which is more difficult. If managing your team is like herding cats, you don’t get the benefits of diversity. In fact diversity itself becomes an impediment. We have all worked in a team where there has been a dominant voice. Meetings can sometimes play to the strengths of an extrovert, or a ‘big personality’. That leaves more introverted team members with a diminished platform from which to share their views. Whether its due to cultural differences or different communication styles. What skills does your team need to work effectively and succeed? Resolve and dissipate conflict creatively. Differences do mean disagreements. Harnessing them instead of combating them is more effective. How to have difficult conversations. It’s much easier to avoid conflict when it arises. But far more effective to learn how to deal with it head on. Coaching and Mentoring – one of the best ways to create engagement with your team – whether formally or informally. Networking – So many roles seem to require this ability, but ask yourself, when you have ever given or received training on how to do this effectively? The ability to communicate team values, and strategy. High performing teams achieve results through harnessing a mix of skills, communication styles and experience. An otherwise disparate bunch must be motivated in a way that aligns to a shared vision. Here leadership is essential. It’s only by creating an atmosphere where challenge, questioning, and dissent are valued that we enable groups to push through the pressure to conform. Gender Pay imbalance? D&I ‘proof’ your recruitment process.